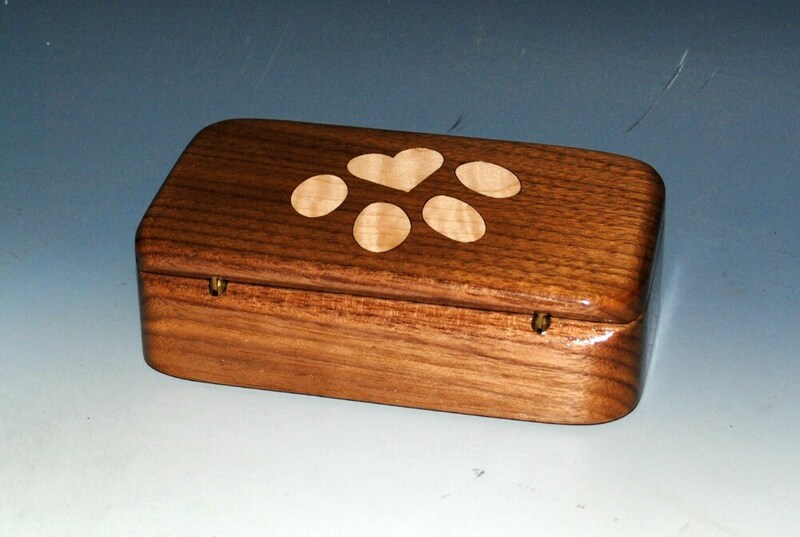 Handmade wood treasure box of walnut with an inlay of curly maple dog paw print with a heart by BurlWoodBox. 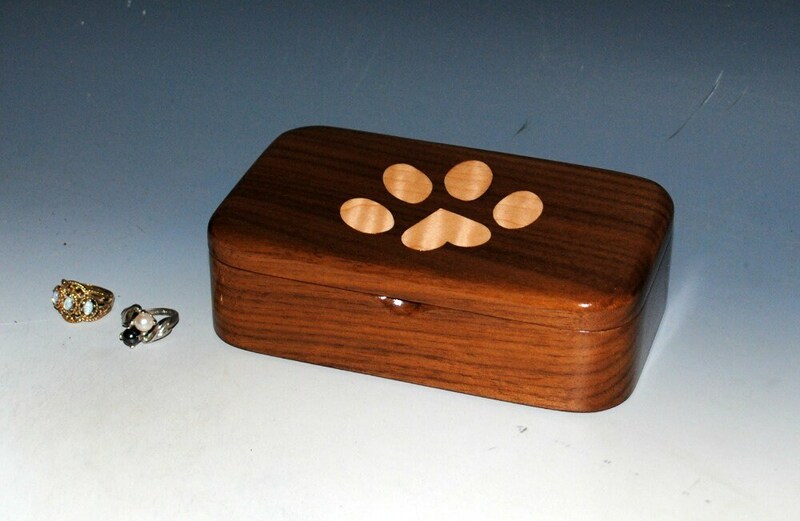 Great as a gift box, on your desk for a special trinket or keepsake, or as a small jewelry box. 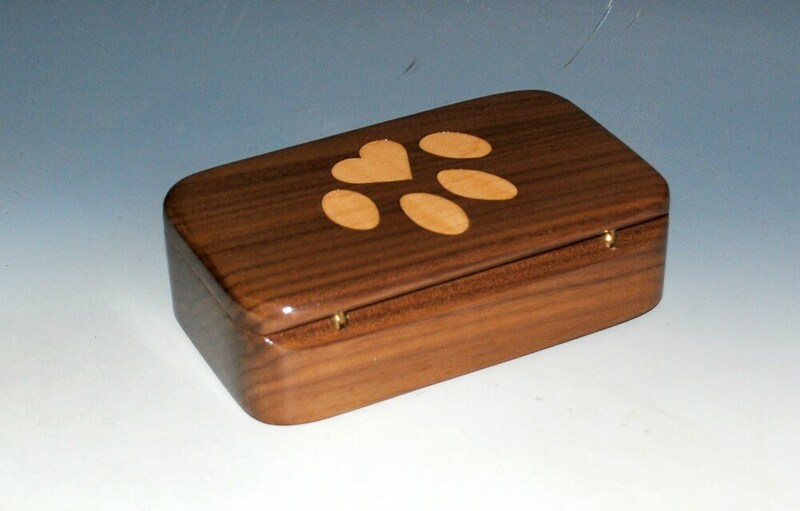 The box body is walnut. 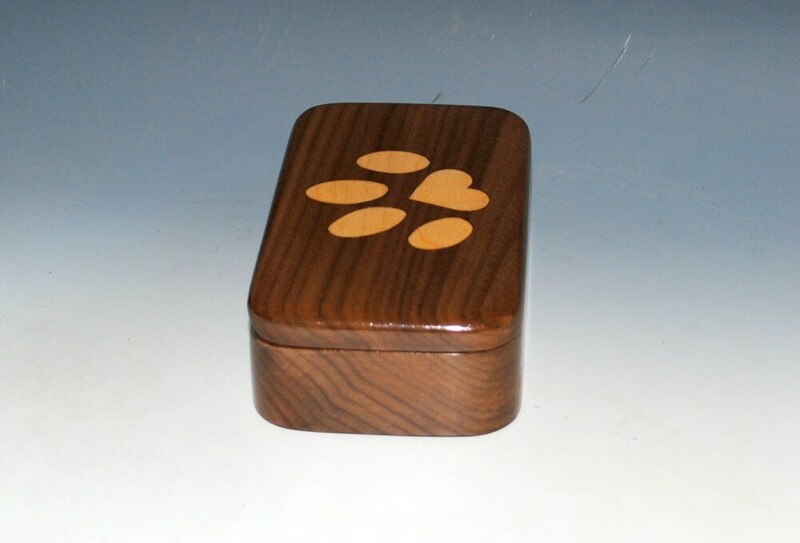 The inlay paw print is Curly maple. 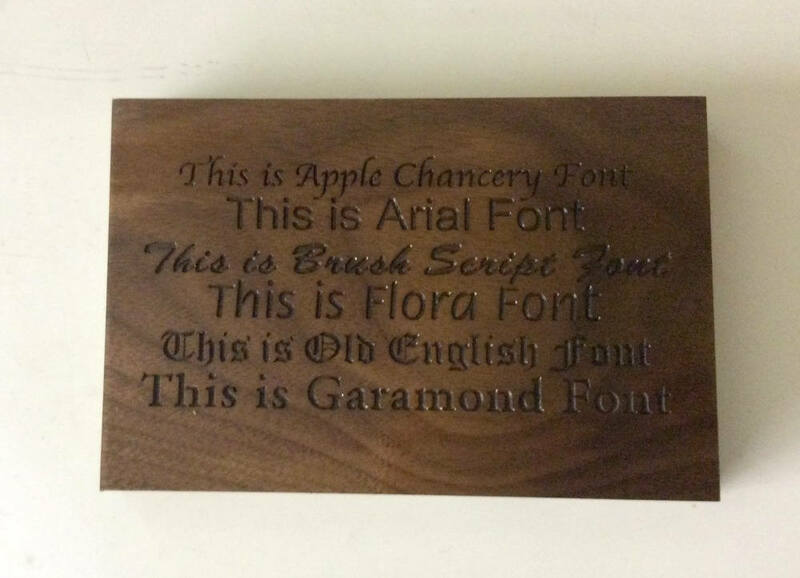 Great contrast ! 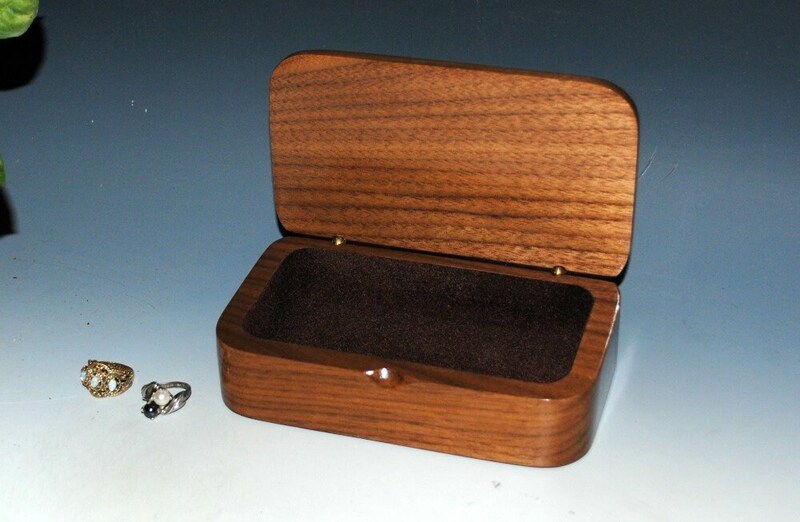 Box is lined with brown rayon flocking to compliment the richly colored walnut. 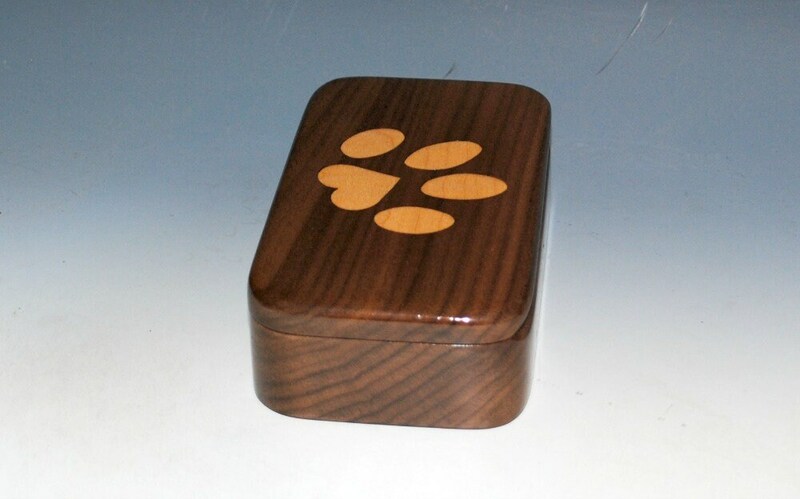 As usual, undercoats are polyurethane with seal and finish coats being tung oil. 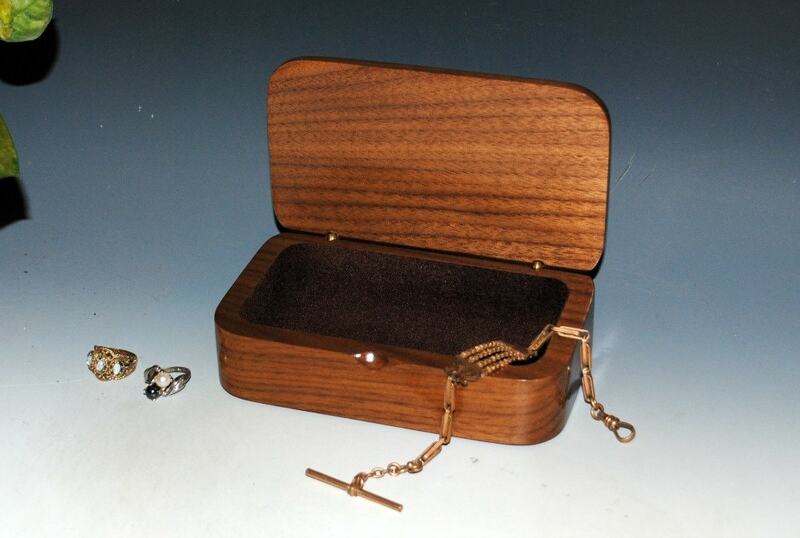 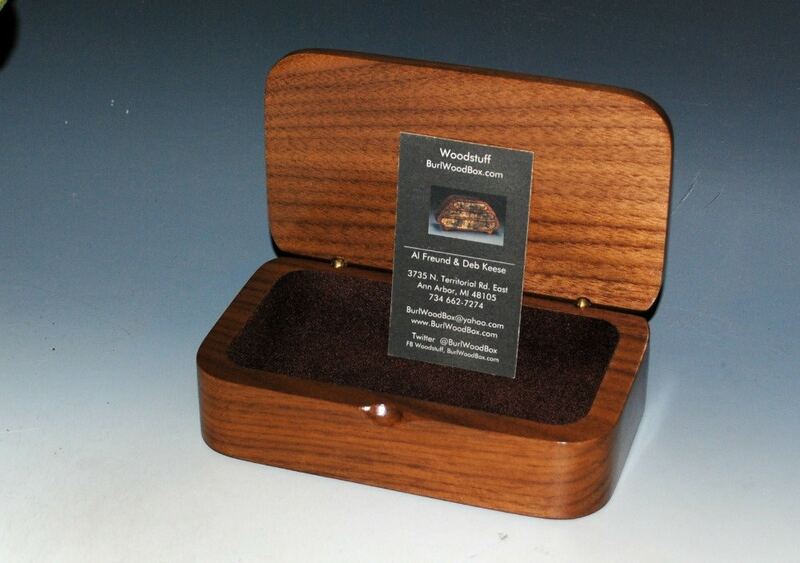 You can see more of our smaller wood boxes in our Small Box Section, link follows. 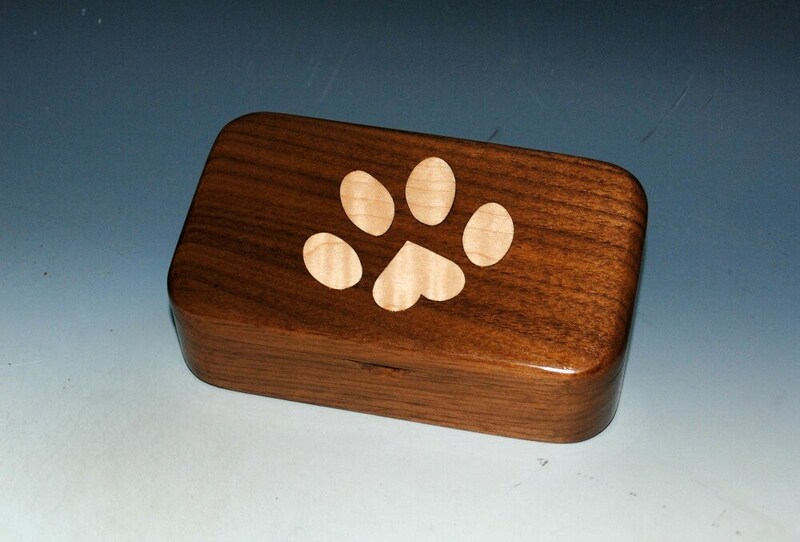 Other styles of our wood boxes can be seen on our main shop page, link follows.